Too big or too small? 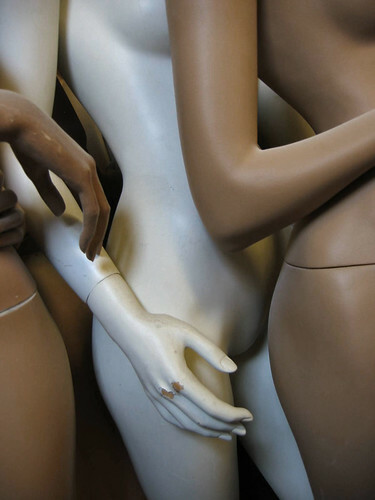 The Swedish mannequins are not the first to stir up controversy over size/ PHOTO BY Flickr user Maneul W.
We’ve all heard about the studies that have recently explored the effects that media has on how people perceive their bodies. Ever since we were little, we’ve been exposed to completely unrealistic expectations of how a person should look like, from Barbie’s tiny waste to the airbrushed models on magazine covers. I think it’s great that a store took the conscious effort not to advertise “skinny” as much as most stores do. According to a 2011 article by the Washington Post, a few years ago, clothing store G.A.P came under scrutiny because of how skinny their own mannequins were. Perhaps the heavier mannequins are a response to the recurring issue of emaciated models (real and otherwise) in the fashion world. Either way, I think it is most certainly a breath of fresh air to see an attempt at showing a different side of things.